This is the latest in advertising field in India. 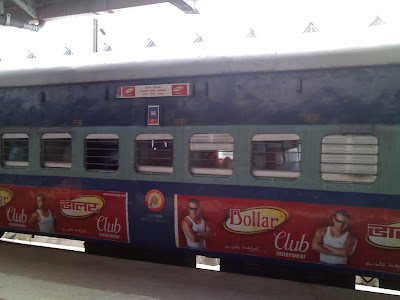 Dollar Club Undergarment Manufacturer got a deal with the Indian Railways. Dollar Club people got a special train with their name. The name of the train was "Howrah Delhi Dollar Express." It ran only during the Durga Puja. The company paid something like Rs 150,000 for the deal and Rs 2,000 per train run.